BERLIN –Determining why a vintage plane crashed in the Swiss Alps will be challenging since the 79-year-old aircraft did not have black boxes and was traveling in an area without frequent radar readings when it plunged into a mountain, killing all 20 of the people on board, investigators said Sunday. The victims were 11 men and nine women between the ages of 42 and 84 – seven couples from various parts of Switzerland, a couple from neighboring Austria and their son, and the three crew members. Their names were not released. Officials can essentially rule out a collision with another aircraft or an obstacle such as a wire, Knecht said. There also was no sign of any “external influence,” he said, indicating that authorities don’t suspect foul play. The plane did not catch fire before or after it hit the mountain, and investigators have not found any signs the aircraft lost parts or broke up in the air before the crash, Knecht said. The company offers “adventure flights” for people wanting to experience Switzerland’s landscape from vintage planes. A brochure on its website listed the cost of the 2-day Locarno trip as $1,136, including meals and a night in a hotel. 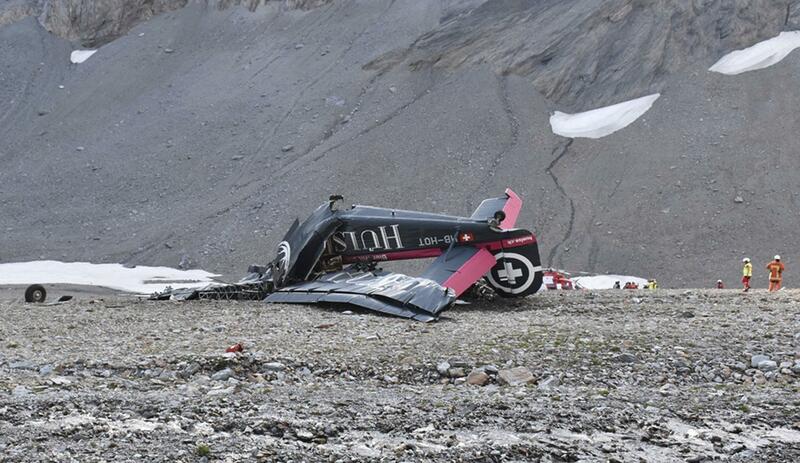 The pilots, who were 62 and 63 years old, both had extensive experience with the Ju-52 and had long worked as airline and Swiss air force pilots, Waldmeier said. Published: Aug. 5, 2018, 8:15 a.m. Updated: Aug. 5, 2018, 8:58 p.m.